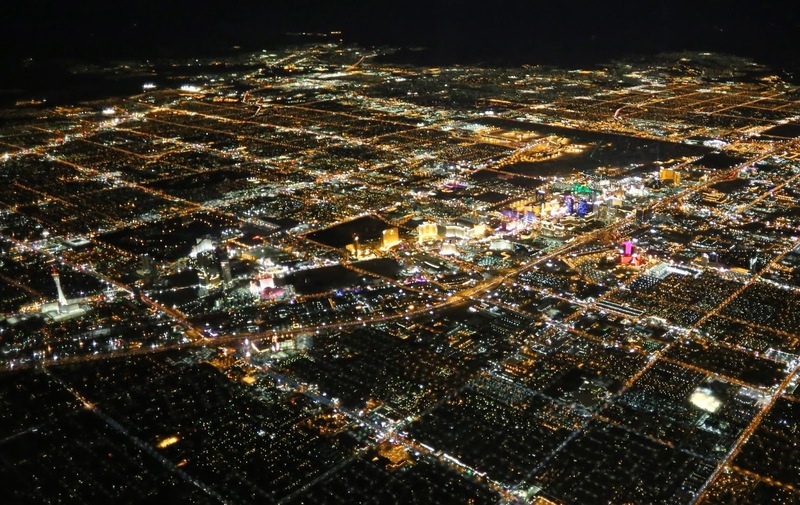 Landmarks are easily visible from the air from this view from the northwest along Las Vegas Blvd. 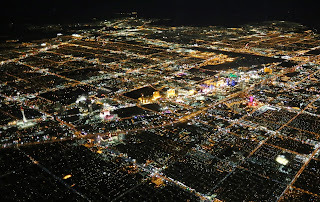 1990s properties like the Rio, Stratosphere, Luxor still pop out, and newer properties like the Wynn and the Cosmopolitan can be seen as well. The airport is the chevron of darkness in the top-right.